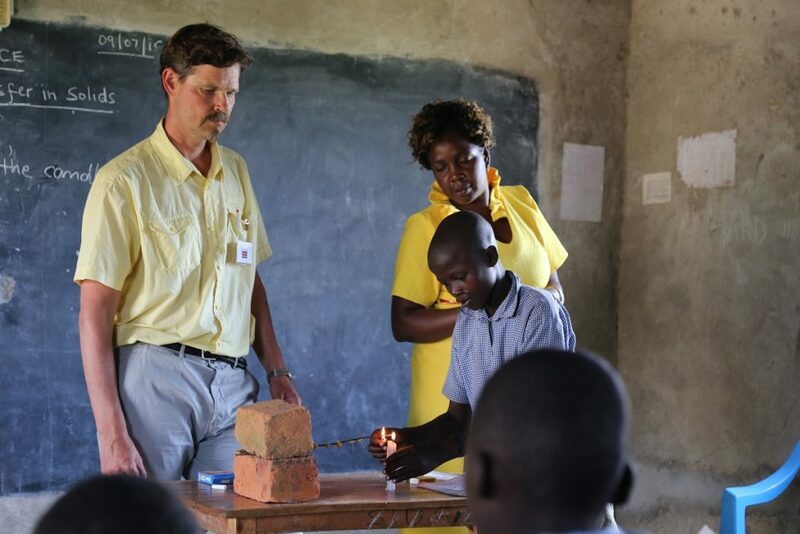 Last year, 12 Teachers without Borders volunteers worked in various education projects, most of them in Cambodia, others in Uganda, Eritrea, Liberia and South Sudan. For the second time, the network organised the World Teacher programme in Kenya with the Dutch organisation Edukans. Nine Finnish teachers took part in the programme spending two weeks working in local primary schools where they focused on mentoring their teacher and school director counterparts in learner centred and practical pedagogical methods. The programme is also used to support networking between local schools. Teachers from schools in Helsinki’s Lauttasaari also volunteered for short periods in Cambodia working with local partner schools, and in autumn, a director of a Cambodian school made a return visit to Finland. Motivation remains high in cooperation when all parties learn something new. Global education awards were handed to the Raunistula Comprehensive School from Turku. The award for the teacher category went to a team of teachers from Seinäjoki Upper Secondary School. The awards were presented by Minister of Education and Culture, Sanni Grahn-Laasonen at the annual World Teachers’ Day event organised by the network.